Fracking is now banned in Miami-Dade County, thanks to an ordinance passed unanimously last Wednesday by county commissioners. The process captures natural gas reserves by injecting high pressure streams of water, sand and chemicals into the earth. The Miami-Dade ordinance says fracking could contaminate county water supplies, including the Biscayne Aquifier, where many South Florida residents get their water. "The risk of leaching of those chemicals into the aquifer is very real," said District 8 Commissioner Daniella Levine Cava, the ordinance's sponsor. "Just imagine that our water supply is put in jeopardy. What a nightmare it would be." In addition to concerns about possible water contamination, the Miami-Dade ban also reflects concerns that fracking pollutes air and soil and increases seismic activity. It notes the chemicals used in fracking are usually kept as trade secrets and are not well-regulated by the state of Florida or the federal government. Levine Cava said the Miami-Dade ban took about two years to come about, but was buoyed by a fracking well being operated in Collier County, and by the Florida Legislature's decision to not implement statewide fracking regulations. "I was very distressed about it, as were many others," she said of the legislature's decision. "We'd like to see Florida ban fracking... we'd rather be safe than sorry." Levine Cava said that although Miami-Dade is a relatively urban county, she feared fracking might occur in or near the Everglades if there weren't regulation. The new Miami-Dade fracking ban is written into the county zoning code, so even if the Florida Legislature decides to allow fracking statewide, the ban would likely hold in Miami-Dade. Still, it's possible to get an exception from the Miami-Dade ban. Applicants for exceptions would have to show their fracking plan poses no threat to the environment, the water supply or the population. They’d also have to disclose the chemicals they would use. Levine Cava said she thinks the county's ban creates a "nearly impossible" burden for individuals and companies interested in fracking. "The burden is on the applicant... to prove there is no harm," she said. More than 80 Florida cities and counties have banned or expressed opposition to fracking. 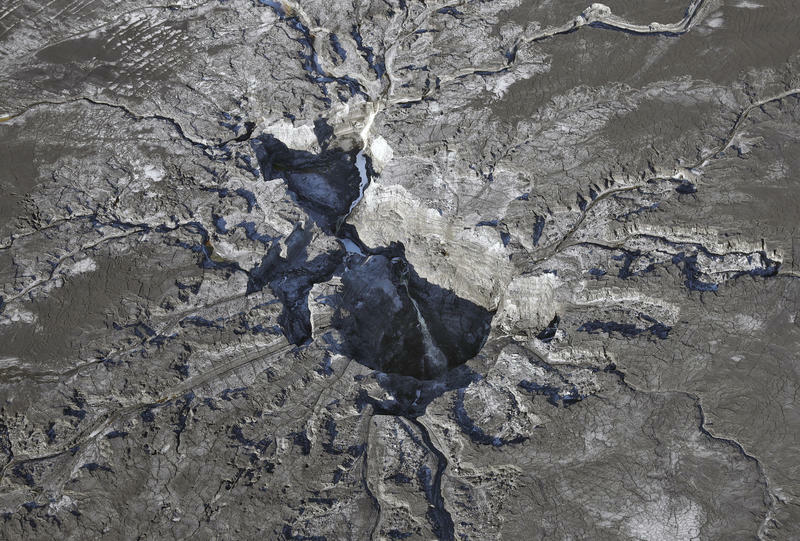 Water containing low-level radiation and other pollutants has poured into Florida's primary drinking water aquifer through a gaping sinkhole 45 feet wide. It happened at a plant owned by fertilizer giant Mosaic in central Florida's rural Polk County, Robin Sussingham of member station WUSF reports. Dozens of Florida cities and counties oppose a plan to give the state control over the oil and gas exploration process known as fracking.